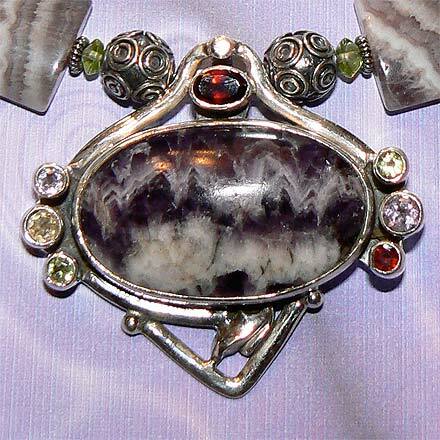 Sterling Silver Amethyst, Peridot, Citrine and Garnet Necklace. See Closeup. 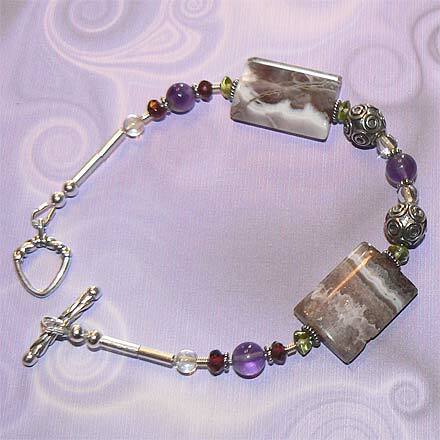 Sterling Silver Amethyst, Peridot, Citrine and Garnet Bracelet. 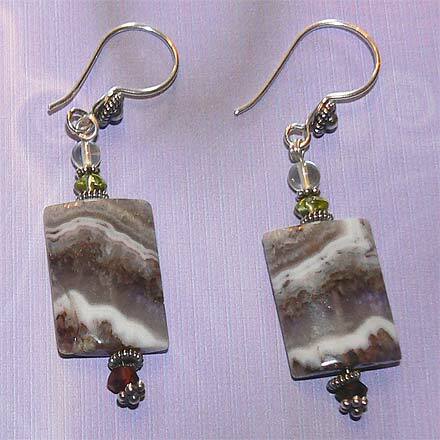 Sterling Silver Amethyst, Peridot, Citrine and Garnet Earrings. Beautiful large beads of crystalline Amethyst, highlighted with the other clear gems: Citrine, Peridot and Garnet. 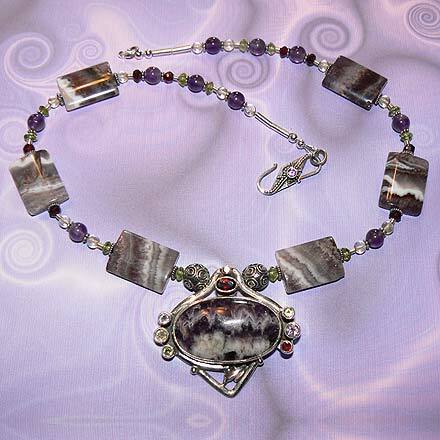 Necklace comes with an Amethyst clasp. For those who are interested in Astrological significances of stones, Amethyst corresponds with Pisces and the month of February, Citrine is November's birthstone, Garnet corresponds with Capricorn and Aquarius and the month of January, and Peridot corresponds with Libra and with the month of August.